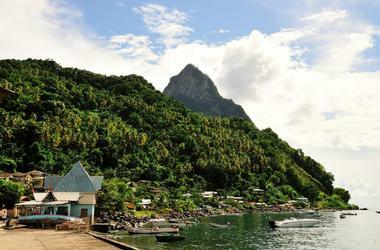 People visit the beautiful island of Saint Lucia throughout the year. The peak season is winter from December lasting into April. This is when many visitors come to warm St. Lucia to escape the cold weather at home. 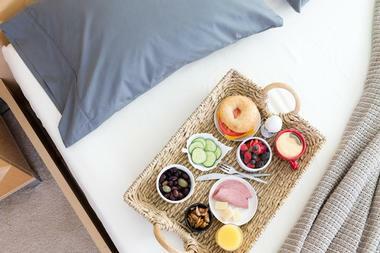 The island can be quite crowded and hotel room rates are at their highest. There are many activities and events during the summer and fall, but this is hurricane season so people who visit St. Lucia at this time are taking a risk. Late spring is the best time to visit St. Lucia - in May and June there are fewer crowds, the weather is perfect, and room rates are more affordable. January is the coolest month in Saint Lucia. Despite being the month with the coldest temperatures, the average high temperature is still a warm 84°F (29°C). The low temperatures average at 73°F (23°C). In February, the average high and average low temperatures remain generally the same at 84°F (29°C) and 73°F (23°C) respectively. March receives the highest sunshine average at 10 hours of sunlight daily. The high temperature averages increase a small amount to 86°F (30°C). However, the average low temperature holds steady at 73°F (23°C). Saint Lucia Weather in April: The sunny weather continues in April with the average high temperature remaining at 86°F (31°C). The low temperature increases 2 degrees to 75°F (24°C). In May, the enjoyable tropical weather continues. The high temperatures and low temperatures range between 88°F (31°C) and 77°F (25°C). June sees high and low temperatures remaining exactly the same as the previous month. In July, the temperatures, again, hold steady at 88°F (31°C) for the average high temperature and 77°F (25°C) for the average low temperature. 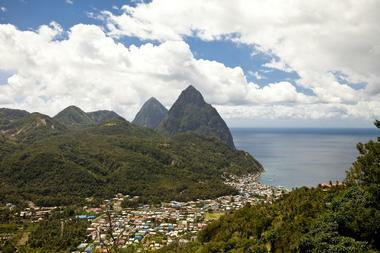 Saint Lucia Weather in August: There is no change in temperature averages in August. However, August has most ideal sea temperature of the year at 84°F (29°C). 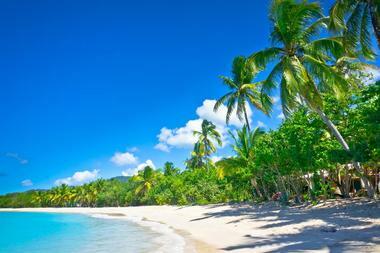 As such, August is a great time to hit the beaches of Saint Lucia. September is the wettest month of the year for Saint Lucia with a precipitation average of 193mm. The high temperature and low temperatures stay constant at 88°F (31°C) and 77°F (25°C) respectively. Saint Lucia Weather in October: Temperatures in this locale remain the same for the month of October. In November, the average high temperature holds steady at 88°F (31°C). However, the average high temperature climbs a few degrees to 79°F (26°C). This makes November the warmest month of the year in Saint Lucia. December sees the climate of Saint Lucia cool a few degrees. The average high temperature decreases to 86°F (30°C) while the average low temperature goes down to 75°F (24°C). With the climate generally pleasing all year around, there’s generally no wrong time to visit this beautiful locale. However, to visit when the weather is at its absolute best, the most advisable time to visit is during mid-December up until April. It’s important to note, however, that these months also have the highest rates for accommodations, travel and activities in general. For those who love music, it’s best to visit in the early half of May as the Saint Lucia Jazz and Arts Festival is held during this time on the Pigeon Island National Park. If you are arriving by airplane you will fly into the Hewanorra International Airport. This is located in Vieux Fort which is about 40 miles south of the capital city of Castries. It is served by many international airlines. There are several forms of transportation that are available at the Hewanorra International Airport. Taxis are available 24 hours a day and are safe and reliable: drivers are insured, licensed, and knowledgeable. There are many shuttle companies that are available at the airport for passenger transfers. An upscale version of the typical shuttle is the Executive Van Services that feature more leg room and a more comfortable ride. You can also arrive by sea: ferries arrive from Dominica, Martinique, and Guadeloupe. There are many interesting places to explore on St. Lucia, so it’s important to have some form of transportation. If you’ve rented a car at the airport, you can use this car. You’ll also need to pick up a St. Lucia’s drivers license at the airport. Watch out for those potholes when you are out exploring! There are minibuses and jitneys that travel between the capital city of Castries and some of the other smaller towns. These are vey inexpensive but can be overcrowded with passengers as well as fruit on the way to the market! There are many taxis on St. Lucia, and this is how many people choose to get around the island. Local cuisine on St. Lucia is a blend of indigenous American Indian dishes and the many generations of Africans who brought their own styles and ingredients. Later came the British and the French with their flavors. Put them all together and you have St. Lucia cuisine. 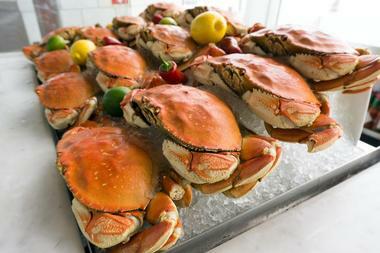 Visitors can enjoy a five course seafood meal at a fine dining restaurant, or simple fare served at roadside stands. No matter what style the eatery is, fresh produce is the key to good food on St. Lucia. There are many restaurants in Castries, and this is where there are many shops, especially on William Peter Boulevard and Bridge Street. Pointe Seraphine is a collection of shops close to where the cruise ships dock. St. Lucia is divided into several neighborhoods. 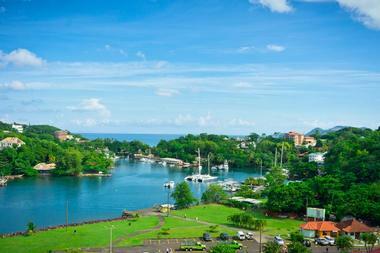 Castries is the capital city and lies on the south side of the island. The downtown area is a commercial area with markets and shopping malls, while the Greater Castries area is home to the resorts. Gros Islet is an area in the northernmost part of the island: here there are resorts, beautiful beaches, and upscale neighborhoods such as Cas en Bas and Cap Estates. 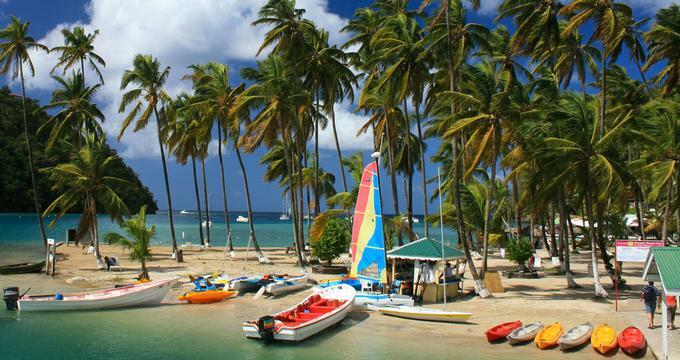 Marigot Bay is known for its green hills that surround a calm marina: many boats dock here after a day of sailing. Soufriere is on the southern side of the island and was St. Lucia’s first colonial capital: this is where the twin Piton peaks are located. St. Lucia is a beautiful island no matter what your reason is for visiting it. 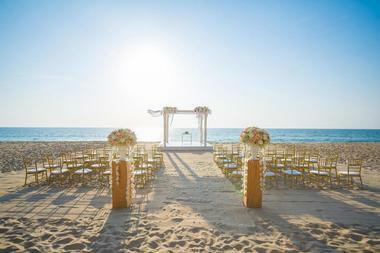 But it is especially beautiful as a place to hold a wedding with its perfect climate and spectacular scenery. Many people like the idea of a beach wedding: they are in luck because St. Lucia is known for its stunning beaches such as Anse Cochon, Anse La Raye; Pigeon Island, Gros Islet; Reduit Beach, Rodney Bay; Sugar Beach, Soufriere; and many more. Waterfalls also make fantastic places for weddings: on St. Lucia you can choose between Diamond Falls, Soufriere; Latille Falls, Micoud; and Toraille Falls, Soufriere. Other options include botanical gardens, churches, historical parks, and mountain tops. Most of the accommodations on St. Lucia are expensive. The resorts on this island are known for their top-of-the-line service and lush tropical atmospheres. Luxury hotel properties include the Jade Mountain, the Ladera Hotel, Sugar Beach A Viceroy Resort, Cap Maison Resort and Spa, and many more. If you search hard enough, you might be able to find a bargain. Some of the accommodations come with kitchenettes where you can make your own meals if you are looking for a break from restaurant food. In addition to the luxury resorts there are also authentic guesthouses operated by locals like Alize Inn Guesthouse and pastel-colored cottages on plantations like Balenbouche Estate.